Google officially doesn’t allow you to disable AMP on your search pages. But, if you are among the people who don’t like AMP, then this trick might just save your day. AMP has been criticized by internet users for making the web pages too simple with disabled functionality and features. Another issue with AMP is that the pages with AMP make it hard for you to access the original content without tapping more and more buttons on the screen. 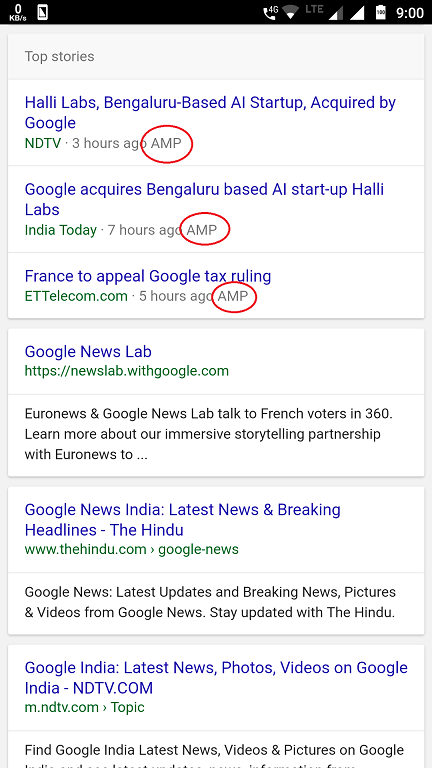 Recent months, Google has pushed AMP very heavily and also asking webmasters to add AMP functionality to their websites. If you don’t like it, here is a simple way to disable AMP on your Google Search Results. Open your preferred browser of choice. Preferably Chrome or Firefox. Type https://encrypted.google.com in the Omni-bar and press Enter. Search for something in the Encrypted Google Search page. This will trigger Chrome’s search engine detection. Now, open Chrome Settings using the 3-dot hamburger menu and go to Search Engines. Select encrypted.google.com in the Recently visited section. After performing the following steps, Chrome will use encrypted.google.com as the default search engine. AMP won’t show up now. It’s effectively disabled. Undoing these changes is also very simple. Simply select Google (or whatever search engine you like) from the Search engines section in Chrome settings.